Sekera s povrchovou úpravou a pouzdrem. 16 1/4″ overall. 6 1/2″ two-tone matte and black finish axe head with slot cutouts and triple cutting edges. 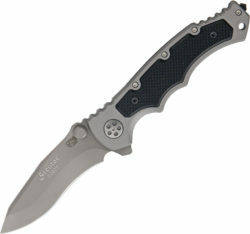 4 1/4″ main cutting edge with 2 1/4″ and 2 1/2″ side cutting edges. 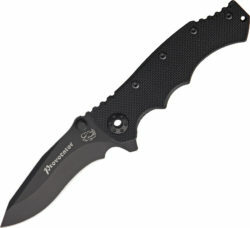 Sharpened spike with 1 3/4″ cutting edge. 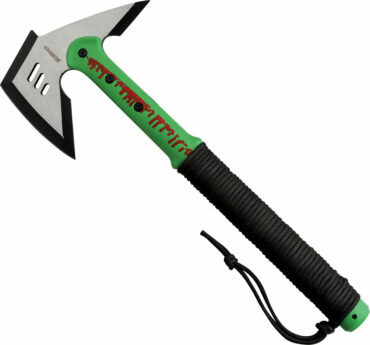 Neon green polycarbonate handle with red splatter design. Lower portion features dark green cord wrap and lanyard. Black nylon belt sheath with rubber patch. 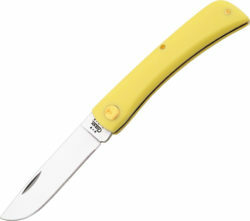 Case Cutlery Sodbuster Jr Yellow.